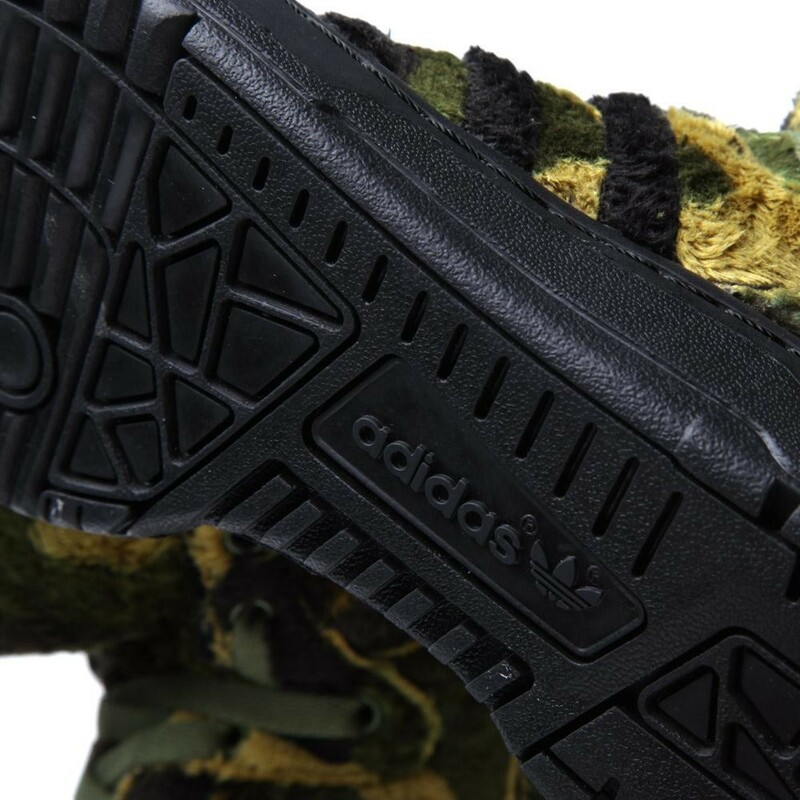 The Originals by Originals collection from adidas Originals brings together designers chosen for their imaginative attributes to urban fashion. 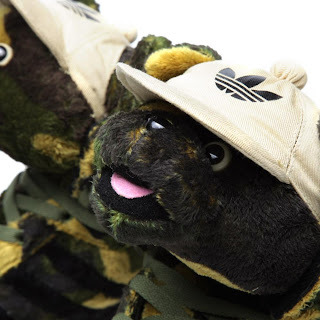 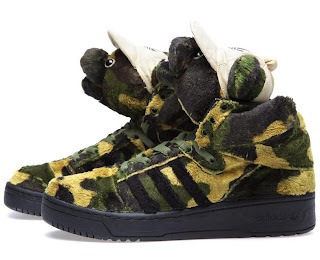 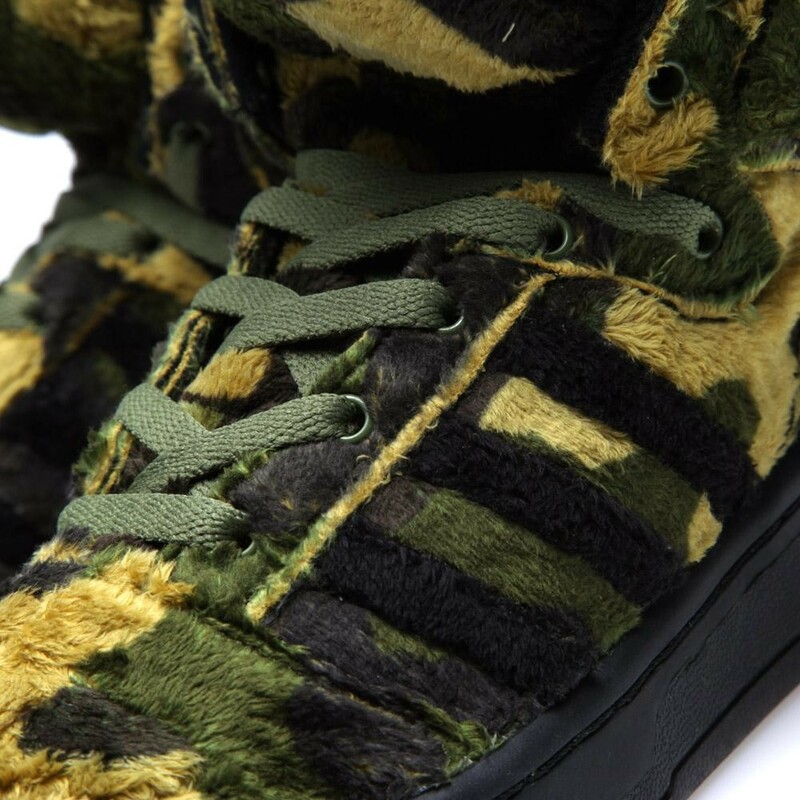 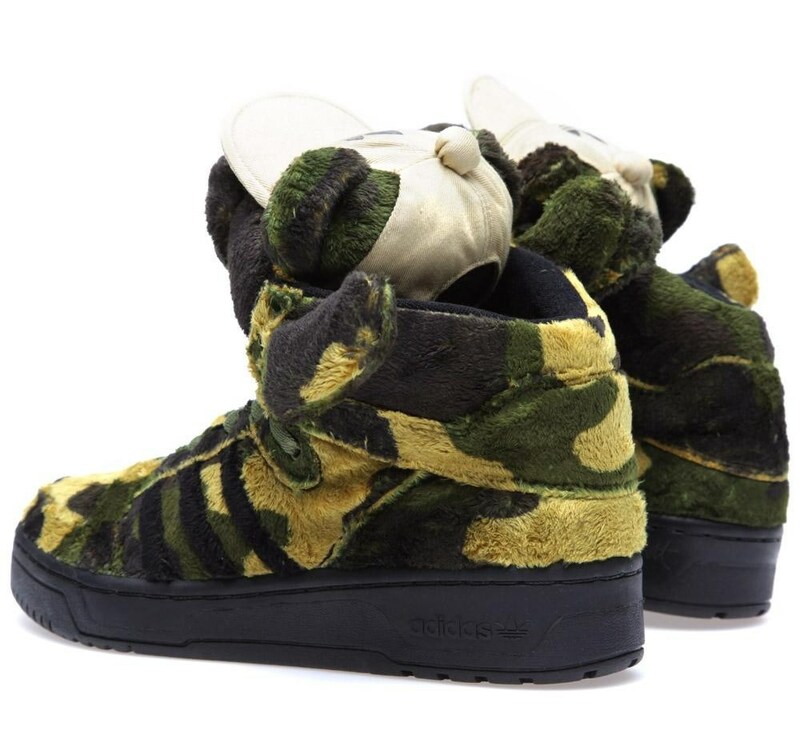 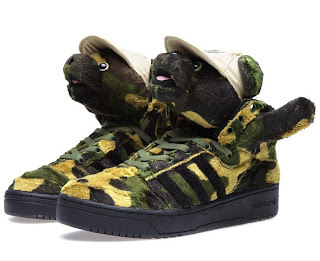 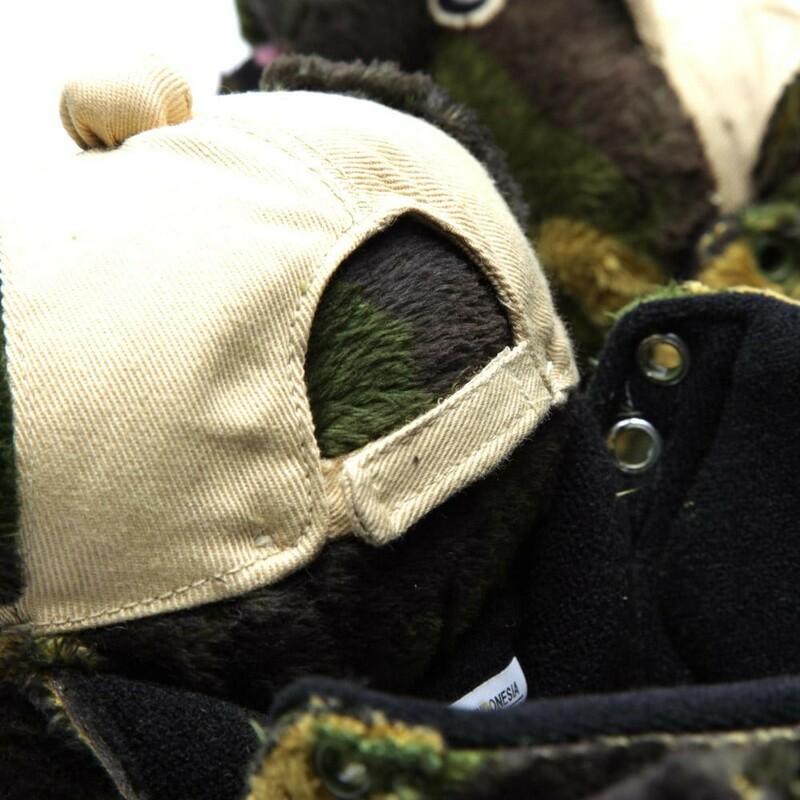 Known for his innovative and eye catching designs, Jeremy Scott presents this camo bear in an all over green camo furry upper featuring a black cupsole unit with incorporated Jeremy Scott and adidas Originals branding. 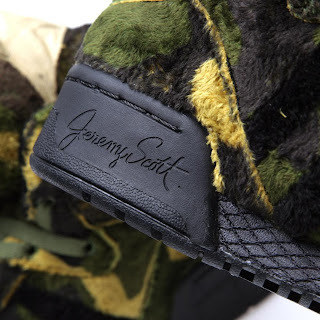 Details include tonal metallic eyelets, flat woven laces, black three stripe branding on the side and a bears head tongue with sand coloured flat-peak cap.